Mount Angel Abbey is committed to make every reasonable effort to communicate clearly and regularly with all Abbey personnel and seminarians regarding the goals and expectations of the Program for Child Protection. Likewise, every reasonable effort is made to keep all groups and individuals served by personnel of Mount Angel Abbey informed regarding the Program. Mount Angel Abbey is committed to insuring that the Program for Child Protection is faithfully implemented, supported and maintained by all Abbey personnel and seminarians. To that end, Mount Angel Abbey undergoes intensive independent review every three years and is accredited by Praesidium, Incorporated. The human person, made in the image and likeness of God, deserves to be honored and respected; indeed, God dwells within a person as in a temple, and there too abides the Spirit of Jesus who is served, loved and welcomed in every human encounter. What a terrible indignity, what a grave offence, therefore, when human life—especially that of a child—is sexually or otherwise abused and dishonored! The monks of Mount Angel Abbey strive for an authentic hospitality in a safe environment, and in the face of the sexual abuse scandals that have rocked the Church in recent years the Abbey has established a Review Board and an Office of Child Protection, doing its part in a Church that seeks reconciliation, healing and forgiveness. In this website you will find spelled out the seriousness of Mount Angel’s commitment to a safe environment and to the protection of children. To download the Program for Child Protection booklet, click here. To download the Program for Child Protection brochure, click here. Providing for means of accountability for the future to ensure the problem continues to be effectively dealt with. In the same year, Mount Angel Abbey and Seminary established its own Office of Child Protection and protocols to fully comply with the Charter’s recommendation, and to create a safe environment for minors. Prevention. The Abbey and Seminary enforce a policy of zero tolerance for child abuse, or abuse of any kind. Whether they seek admission as a monk or seminarian, applicants to Mount Angel Abbey and Seminary must undergo background checks, extensive psychological assessments, interviews with various monastery or seminary officials, and must submit positive recommendations from pastors, employers, and lay people. All participate in rigorous human, spiritual, academic and pastoral formation as they mature and embrace a life and lifestyle of celibacy and chastity, leadership and responsibility, service and accountability. Their readiness is thoroughly evaluated before they are ordained or make their profession of vows. Safe environment training. Mount Angel mandated safe environment training for monks, seminarians and employees, and defined responsibilities for making mandatory reports of suspected or alleged child abuse directly to civil authorities. These protocols were reviewed and continue to be reviewed and updated by our General Counsel and by Praesidium, an outside accrediting agency that specializes in identifying the root causes of child abuse, and in providing the best procedures and practices to help organizations create a safe environment for minors. Dr. Monica Applewhite, Ph.D., a leading practitioner in recognizing and preventing child abuse, is engaged to give presentations to the monks, seminarians, and employees, as part of Mount Angel’s on-going education program. Beginning with the 2018-19 academic year, seminarians will participate in the Armatus online abuse prevention training program sponsored by Praesidium. These courses include specific learning objectives, interactivity, and a content mastery quiz. The Armatus program will allow the seminary to track each seminarian’s course completion and generate compliance reports. Accountability. Also in 2002, Mount Angel formed the Abbey Review Board, which is composed of monks and lay men and woman under the guidance of Dr. Elizabeth Farley, the Coordinator of the Office of Child Protection. Dr. Farley oversees the program, advises on educational requirements for the hilltop community, is prepared to address complaints of child abuse, if and when they arise, and to recommend ways to foster healing and reconciliation, when needed. Discipline. Monks, seminarians and employees know that any violation of the Abbey’s policy on child protection, depending on the scope of the violation, could result in a letter of correction, mandatory counseling, dismissal from the monastery or seminary, or termination of employment. In the Charter for the Protection of Children and Young People, the United States Conference of Catholic Bishops (USCCB) recognized past failures on the part of church leadership to provide a safe environment in which minors were protected from abuse by clergy and other church personnel. By adopting the Charter, they pledged themselves to protect minors in the future. Mount Angel Abbey is committed to the USCCB pledge to protect children and young people in all works and ministries undertaken in the name of the monastic community. Throughout his public ministry, Jesus encountered many challenges concerning the origin of his authority. “By what authority are you doing these things? And who gave you this authority?” (Mt 21:23, Mk 11:28). Abbey personnel and seminarians that are in positions of leadership recognize that the authority of leadership comes from God as a gift for the welfare of the Church and it should be carried out with personal integrity and good stewardship. Abbey personnel and seminarians are expected to be persons of integrity, honesty, and high moral standards, and as such, they have a responsibility to lead by example. In the performance of their duties they are expected to conduct themselves in a responsible and conscientious manner, free from any deception, corruption, or action that could be deemed improper. Abbey personnel and seminarians respect the rights, dignity and worth of each person they encounter as a creation of God. They strive to be sensitive to cultural differences among people and appreciate the opportunities that diversity brings. Abbey personnel and seminarians are aware that issues of age, gender, race, religion, physical and mental disabilities, and language all affect how the message of the Gospel is received and interpreted. Abbey personnel and seminarians who are in positions of leadership embrace the teachings of Jesus and work to promote the Gospel. The Scriptures and the Magisterium of the Roman Catholic Church guide personnel and seminarians who are in positions of leadership when decisions must be made that directly affect those who are served. Abbey personnel and seminarians are responsible for attending to their own physical, mental, emotional, spiritual and intellectual health. They should nurture their strengths in these areas and attend to their shortcomings. They should be supportive of one another in maintaining a sense of well-being. Abbey personnel and seminarians should be alert to any impediments to their well-being and seek appropriate assistance. This policy is based upon the teachings of the Catholic Church and Canon Law in addition to concepts of civil and criminal law. Child abuse is contrary to the Gospel and to all that the Catholic Church believes and professes about the dignity of human persons. Thus, it is the policy of Mount Angel Abbey that child abuse of any kind is never to be tolerated. The Abbey fully subscribes to the June 2002 American Bishops’ Charter and Norms for the Protection of Children and Young People. Mount Angel Abbey recognizes that no policy in itself prevents child abuse. Strict adherence to the policy and institution-wide vigilance prevent child abuse and help assure that no child is victimized. This policy reflects Mount Angel Abbey’s commitment to promote and protect the dignity of each person, and to clearly manifest that Mount Angel Abbey takes seriously the responsibility to provide a safe environment for children and young people. The Abbey is committed to providing a safe environment for children and young people and to assist Abbey personnel and seminarians in recognizing, reporting, and attending to the needs of abused children and their families. All Abbey personnel and seminarians shall maintain the integrity of the ministerial relationship at all times. Abusive conduct of any kind, including sexual conduct, between one who is performing duties on behalf of the Abbey and a minor, is not only criminal, it is a violation of the sixth commandment and Catholic moral teaching. Persons with reasonable cause to suspect child abuse by any person acting on behalf of Mount Angel Abbey – whether monk, employee, volunteer, or seminarian – are expected to report directly to civil authorities and the Abbey’s Coordinator for the Office of Child Protection. The response of the Abbey in cases of child abuse by any of its personnel or seminarians will address the pastoral needs of the victim, the well being of the community, and the assessment and treatment of the offender. Care is to be taken that all involved are treated in a manner that is consistent with the Gospel values of compassion, understanding, and justice, as well as those standards that are normative in the wider professional community. Clergy, school employees (all levels of education), and other mandatory reporters are required by law to report (or cause to be reported) suspected child abuse to the Department of Human Services or to a law enforcement agency. The Abbey expects all mandatory reporters to fulfill this legal obligation and to report the matter immediately to the Coordinator of the Office of Child Protection. The Abbey requires its personnel and seminarians, that are not mandatory reporters under Oregon law, to voluntarily report suspected child abuse when they have reasonable grounds to do so. Such reports should be made to the Department of Human Services or to a law enforcement agency and to the Coordinator for the Office of Child Protection. Contact information is available on the Resources page. A sacred relationship exists between the Catholic Church and all persons, whether They are children or adults. Child abuse of any kind is a matter of gravest concern. Knowledge of such abuse calls for a timely response so that the safety of the child and the community is assured and healing can begin. The Coordinator of the Office of Child Protection will respond promptly to persons who contact the Abbey through the Office of Child Protection concerning child abuse. When allegations of child abuse have been made, the Coordinator will keep in contact with the individual (or the parent or guardian of a minor) and his or her family, if appropriate. Psychological counseling, pastoral care, or the assistance of an advocate for healing may be offered in the spirit of Christian justice and charity as appropriate. Within the confines of respect for the privacy and the reputations of the individuals involved, the Abbey will deal as openly as possible with the larger community directly affected by the alleged ministerial misconduct with minors. 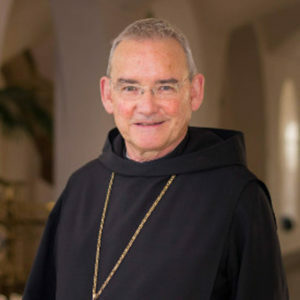 The Review Board assists the Abbot of Mount Angel Abbey in maintaining a climate of safety and respect for all minors who participate in Abbey-sponsored programs and ministries, or who visit the Abbey. The Board’s work includes reviewing pertinent policies and programs, advising on educational requirements, helping to address complaints of child abuse on the part of clerics, and recommending ways to foster healing and reconciliation where needed. The Office of Child Protection promotes the Church’s teaching regarding the dignity of minors, and it seeks to protect children and young people from any harmful behavior on the part of Abbey personnel and seminarians. The Office also helps to provide a safe and effective avenue for individuals who wish to make a complaint of child abuse against personnel of Mount Angel Abbey. The Office assists the Abbot in his efforts to welcome and respond to those who seek reconciliation and healing. In December of 2005, Mount Angel Abbey was awarded Praesidium Accreditation™ by Praesidium, the national leader in abuse risk management. Praesidium Accreditation™ confirms that an individual order or congregation has been found by an independent team of specialists to meet or exceed all Standards for Accreditation. To attain accreditation, Mount Angel Abbey underwent a long educational process and a rigorous assessment to clarify their responsibilities, identify best practices, and evaluate the extent to which they are meeting these defined standards. Each accreditation standard was independently verified by Praesidium. Mount Angel Abbey was found to be in compliance with the highest current national standards for protecting children. They have acted upon the call to more accountability and transparency in how to protect children, handle allegations of sexual abuse, reach out to victims, and supervise members who have sexually abused. Mount Angel Abbey has now successfully completed the reaccreditation process twice, once in 2008 and again in 2011. Mount Angel Abbey receives accreditation for three years after each review, and upholds fundamental values and stringent safety practices that demonstrate their commitment to protecting those they serve from abuse. Praesidium is the national leader in abuse risk management and has worked with thousands of companies worldwide for 20 years. More information about Praesidium Accreditation™ is available at www.PraesidiumInc.com.